MAYODAN — Did you get your free pizza and drink? Even the area’s finest members of law enforcement have to eat. The chain had made the offer on the condition that a No. 16 seed beat the No. 1 seed in any region of the NCAA men’s basketball tournament. It had never happened – until, that is, March 16, when No. 16 University of Maryland – Baltimore County pummeled top-seeded University of Virginia, 74-54, in the opening round of this year’s March Madness. A No. 16 seed had never before defeated a No. 1 seed in the tournament. 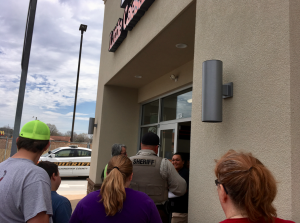 At the Mayodan location, a store employee said people began showing up as early as 10:30 this morning. 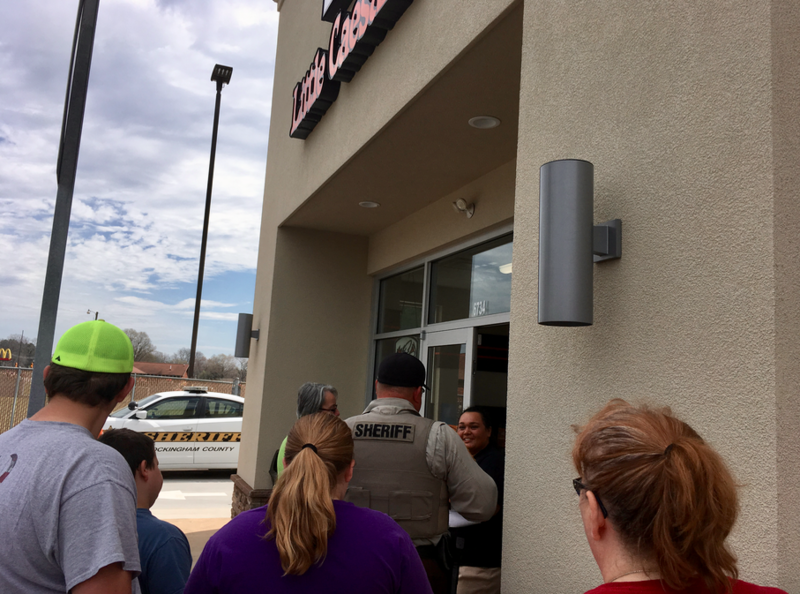 The free lunch combo was available between 11:30 a.m. and 1 p.m. The employee said the early arrival was told she had to wait, and she did come back an hour later. Shortly after 11:30, the line moved briskly. Patrons were allowed in three at a time, and the cashier asked — with a giant grin, already knowing the answer — what the next person’s order would be. 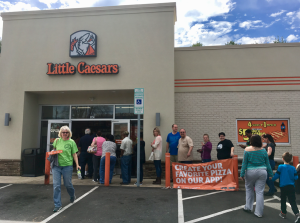 It was not immediately clear if Little Caesars would make the same offer in advance of next year’s tournament. 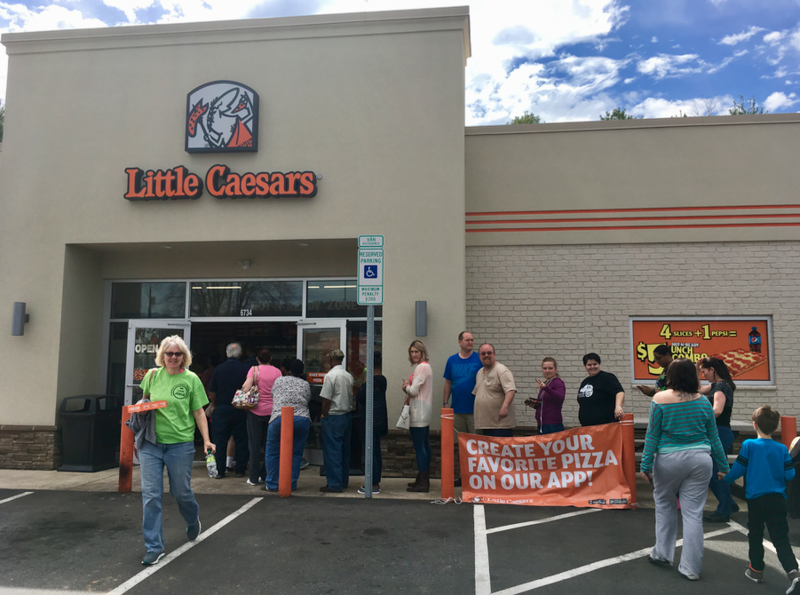 The line began to grow shortly after 11:30 a.m. Monday, when the 90-minute period to grab a free lunch combo began.